1930s - this new model features numerous unique styling details and represents the pinnacle of British luxury motoring in its most discerning form. The Limited Edition of just 22 cars is available in three colour specifications - a fresh and contemporary ghost white, damson for a more vibrant touch, and a sophisticated contrast of fountain blue and dark sapphire, offering a modern interpretation of the classic two-tone Bentley paint design. 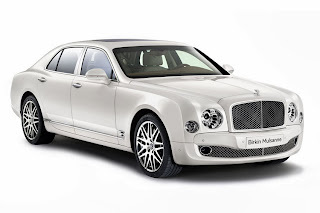 Numbered door sill plaques, a unique 21-inch wheel design inspired by those on the original Mulsanne concept car, and a striking 3D 'Flying B' logo stitched into the vehicle headrests and inlaid into the wood of the front fascia and rear picnic tables, identify the Birkin models. In addition, all three specifications feature a stunning tailored luggage set - each one hand-crafted, individually numbered and matched with the interior of each car. 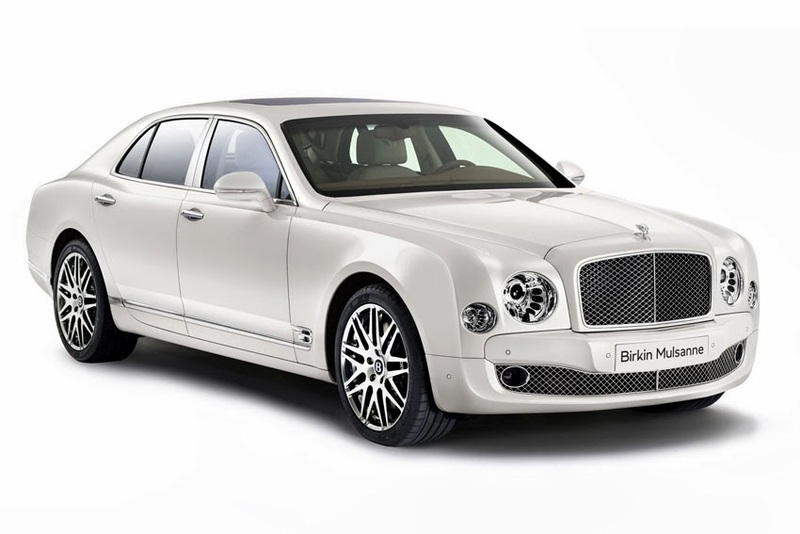 Items have been selected for the Birkin Limited Edition from the Mulsanne's extensive options list for the well-travelled connoisseur and the Mulliner driving specification delivers an engaging motoring experience thanks to a unique 'Sport' setting on the Drive Dynamics Control system. An intricate diamond quilting pattern to the seats and door panels, complemented by an indented leather headlining and 'knurling' details to the interior metalwork, create a contemporary and tactile finish to the cabin. For those travelling in the rear of the Birkin Mulsanne's spacious cabin, the entertainment specification offers a luxurious and comfortable space to work or relax while on the move. Each car features exquisitely-packaged twin 8-inch LCD screens in the rear of the seat headrests, a DVD player, a Wi-Fi hotspot, the Naim for Bentley premium audio system and iPads integrated into the hand-crafted solid wood picnic tables.